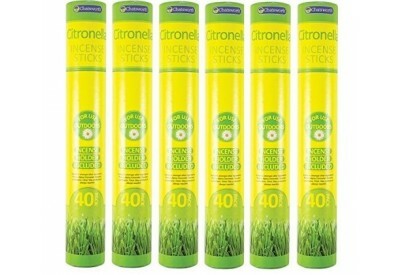 The Doff Citronella Incense Sticks (pack of 40) come with an incense holder. 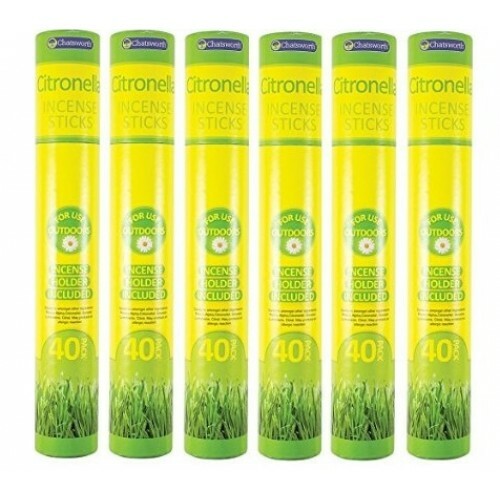 The incense sticks are for outdoor use and are ideal for repelling all types of insects, allowing you to enjoy barbecues and many other outdoor activities. For best results, light tip of stick until it flames. After tip glows, blow out flame and leave on holder provided to smoulder.